Steve Jobs has announced to Apple employees that he is taking another medical leave of absence from the company, but will be staying on as CEO. According to Business Wire, a memo was sent to all at Apple today regarding Jobs' decision to take some time out, with day to day responsibilities being left to COO Tim Cook. This echoes a similar situation in January 2009, when Steve Jobs took a medical leave of absence from the company to sort out a "hormone imbalance". The full memo reads: "At my request, the board of directors has granted me a medical leave of absence so I can focus on my health. I will continue as CEO and be involved in major strategic decisions for the company. "I have asked Tim Cook to be responsible for all of Apple's day to day operations. I have great confidence that Tim and the rest of the executive management team will do a terrific job executing the exciting plans we have in place for 2011. 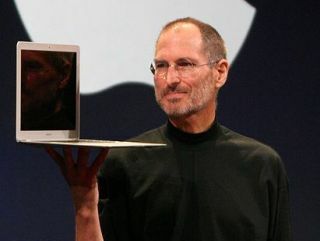 The news of Steve Jobs taking a backseat at Apple comes just a day before the company releases its first quarter results.